There are 3 reviews of Beautiful Belle. I love tuberose and I love when it’s treated this way. It’s sweet but not syrupy, with a green, clear fruitiness. Performances are good. The fruity opening - lychee with hints of snake skin fruit - is soon leading to florals being infused into the mix, mainly mimosa, gardenia, and a tuberose that is most prominent on me. This tuberose in quite bright and not of the waxy or heavy style. Later on ambrox develops and gradually takes over, with a good lashing of white musks of middle-level sweetness towards the end. I get moderate sillage, very good projection and six hours of longevity on my skin. Pleasant, some nice ideas but a bit too generic to entice. 2.75/5. Big lychee and floral top. Light orange flower and light gardenia in the middle. The tuberose is not too overbearing. I get musk and ambrox in the base. Somewhat sweet and smoky at the same time. I don't smell any iris at all here. Rather boring creation, for my taste. Too mainstream, too uninspired. 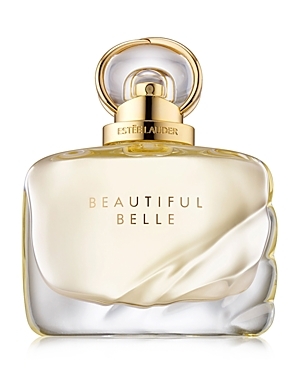 Estee Lauder Beautiful Belle Eau de Parfum Spray 1.7 oz. There are no member images of Beautiful Belle yet. Why not be the first?